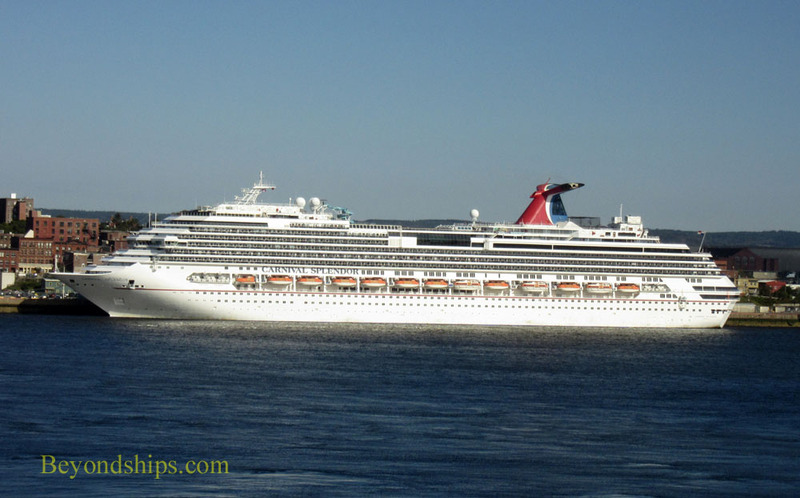 Carnival Splendor is no stranger to Saint John, New Brunswick. This port is almost always included when Splendor does an Eastern Canada cruise. She is seen here at the Marco Polo Terminal, which is in the heart of "Uptown" Saint John. 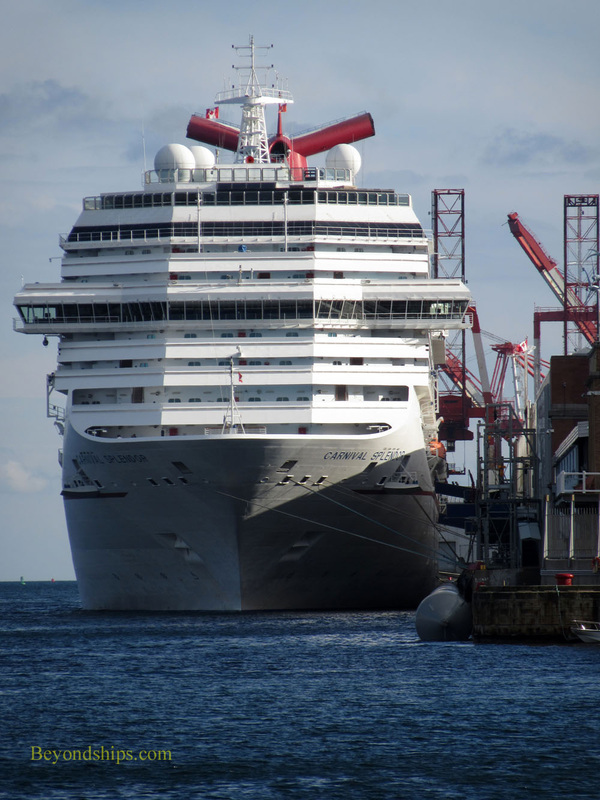 Another familiar port for Splendor is Halifax, Nova Scotia. Here, Splendor docks at the Halifax Seaport. This area has been developed so that it includes restaurants, shops, an events center and a museum. It is connected by a waterside boardwalk to downtown Halifax. 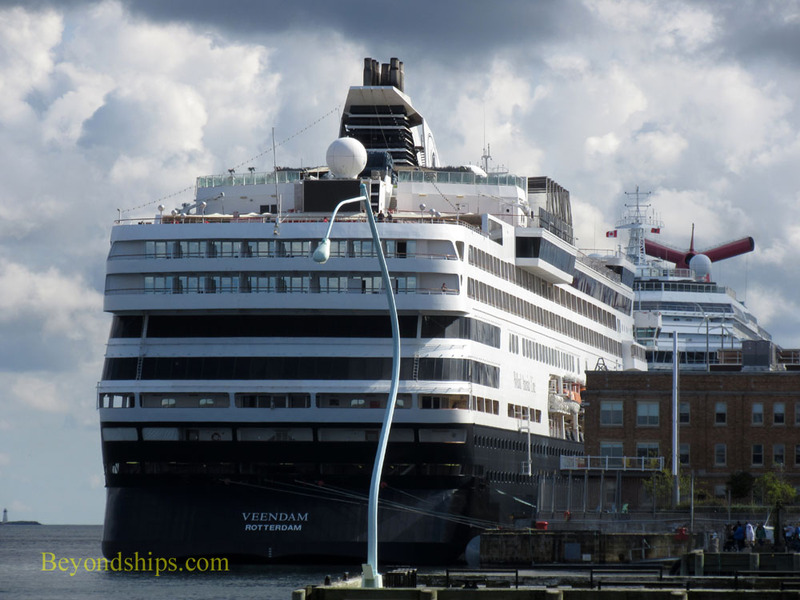 With Splendor during one call was Holland America's Veendam. 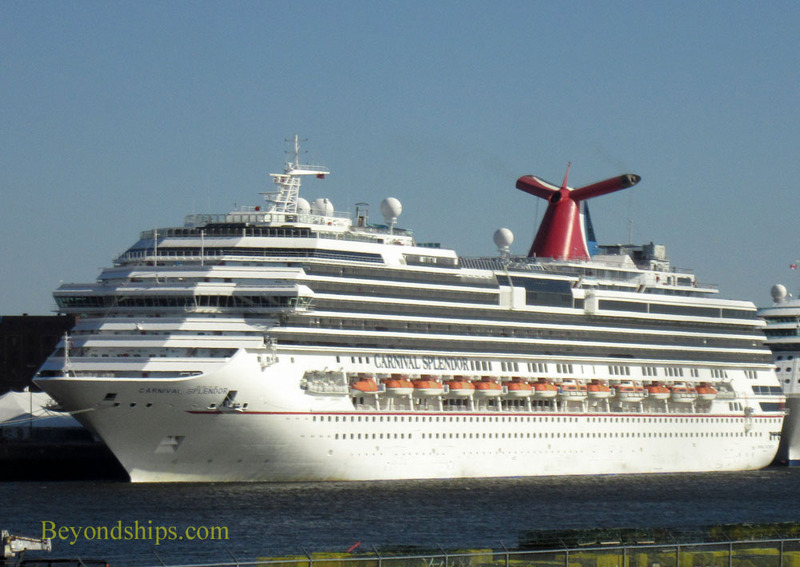 The Canada/New England run is a popular itinerary in the early fall and so it is not unusual to encounter other cruise ships sailing these water. 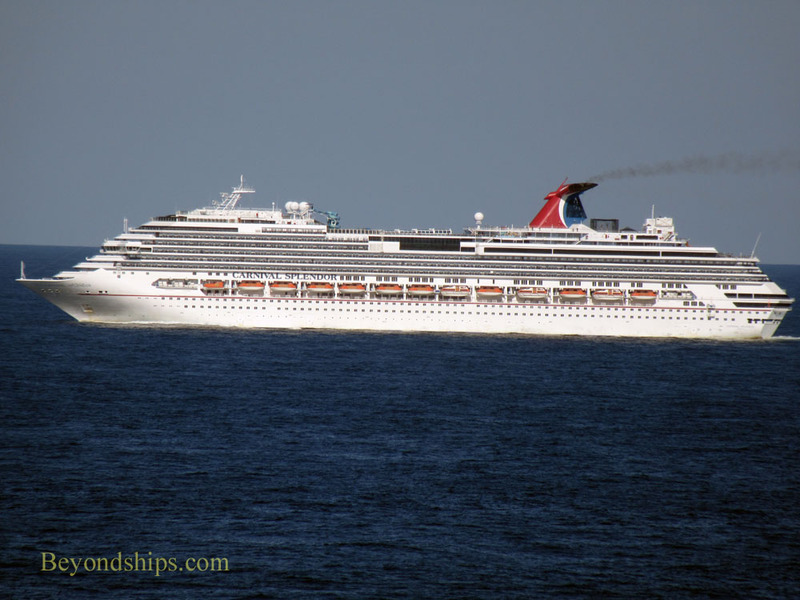 Here, Carnival Splendor finds herself with Royal Princess. The two ships sailed along parallel to each other for several hours. Then Splendor, deciding to follow another course, turned and passed through Royal Princess's wake.